The TH15A tyre handler is a fantastic tyre handler that is redefining industry standards. 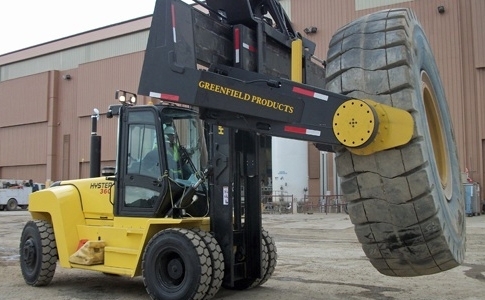 Capable of handling weight up to 6804 Kg (15,000 pounds), this forklift tyre handler is powerful, versatile, precise, and easy to maintain. 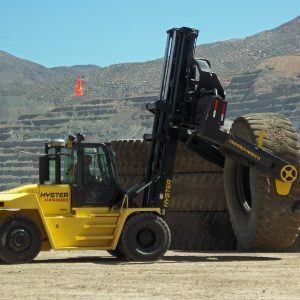 Greenfield has partnered with Hyster to bring the TH15A to market, and we’re currently providing them to businesses around the world in a wide variety of industries. Greenfield has a longstanding tradition of superior customer service and client communication. 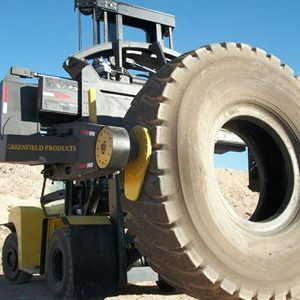 Need more information about the TH15A tyre handler? 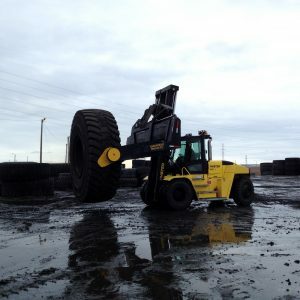 The TH15A is specifically designed to handle CAT 785, 789 and 793 size rubber.